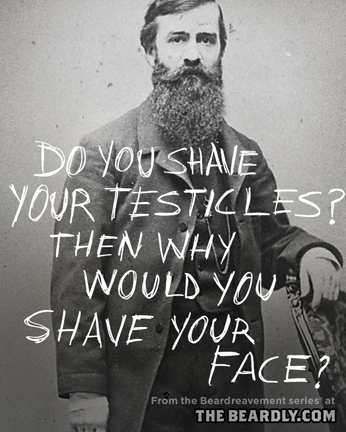 The Beardly: Do you shave your testicles? Then why would you shave your face? Do you shave your testicles? Then why would you shave your face?